January 28, 2012 Marcus Mottley, Ph.D.
As a Clinical Psychologist, I am always looking for low cost yet very effective ways in which my clients can help themselves. Most clients meet with a mental health clinician a couple of times per month. Between those sessions clients ought to be busy working on healing themselves by practicing the strategies and techniques and making facilitating changes in their behavioral, cognitive and emotive processes. Most successful mental health outcomes are generated when people are focused on helping themselves. One very useful method of self-help for emotional pain such as grief and depression is reading books. Reading books? Absolutely! Reading therapy! The idea that reading can make us emotionally and physically stronger goes back to Plato. Plato said that the poets gave us the arts was “not for mindless pleasure” but “as an aid to bringing our soul-circuit, when it has got out of tune, into order and harmony with itself”. The Greeks had it right! Additionally, I don’t think that it was a coincidence that the Greek God Apollo was the god of both poetry and healing! These days “reading therapy” is officially called bibliotherapy! Bibliotherapy is defined as an expressive therapy that uses an individual’s relationship to the content of books and poetry and other written words as therapy. In some studies, bibliotherapy has been shown to be effective in the treatment of depression and the results have been shown to be long lasting. Bibliotherapy is also an old concept in library science. The ancient Greeks put great faith in the power of literature, posting a sign above some of their library doors describing the library as a “healing place for the soul”. Among adults, reading groups (book clubs) seem to serve many purposes. They serve as social gatherings for like minded people to discuss issues, ideas and topics relevant to their collective interests. Reading groups however also help to bring people together so that they feel less isolated and so that they can build their self-esteem. Reading groups also seem to be an experiment in individual and collective healing. In one study, there was an indication that involvement in reading groups helped some members to deal with depression, loneliness and grief. Some book clubs specifically help members who are going through the loss of a spouse through death, while it helps others deal with those experiencing the pain of separation and divorce. Reading specific books as biblio therapy is also a feature of meny self-help groups such as Alcoholics Anonymous. Books seem to help everyone… whether as individuals or in groups. No matter how ill you are, there is a world inside books which you can enter and explore, and where you focus on something other than your own problems. As a result of reading certain books, people are uplifted, positively influenced motivated and inspired to heal themselves from the inside out. The key to making all of this work is making sure you have a great book. With so many out there, how do you know which one to choose? In this Blog – Heal Your Hurt – we provide you with lots of suggestions – all of which can be seen through the lenses of reading therapy (biblio therapy). All of the books recommended in this blog can help with emotional pain, depression, sadness, grief or other devastating emotions that people can experience. Here is another great book suggestion: The Help! Three ordinary women are about to take one extraordinary step. 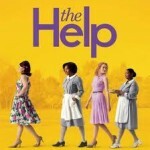 In The Help, author Kathryn Stockett creates three extraordinary women whose determination to start a movement of their own forever changes a town. And it forever changes the way women – mothers, daughters, caregivers, friends – view one another. This is a deeply moving novel filled with poignancy, humor, and hope. The Help is a timeless and universal story about the lines we abide by, and the ones we don’t. I found The Help to be therapeutic. My clients all rave about the many benefits that reading it provides them. You too will find it beneficial when you read it.